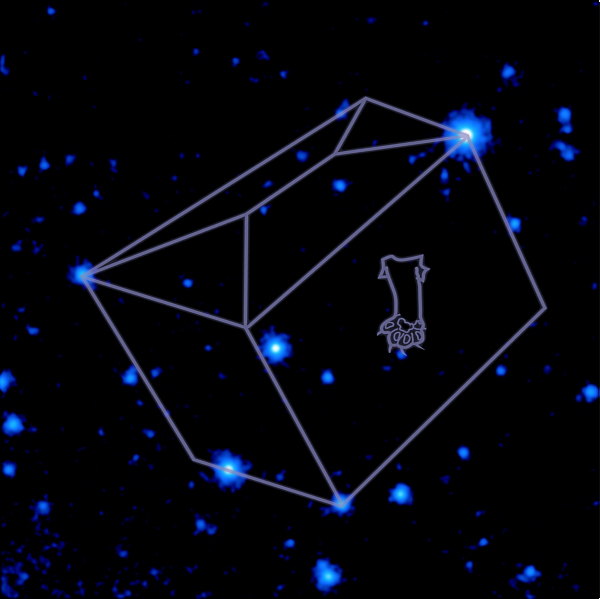 This constellation depicts the feline-equipped box at the center of a famous thought experiment devised by Austrian physicist Erwin Schrödinger in 1935. He imagined placing a cat into an opaque box along with a device that would release poison if a random subatomic event, like the decay of a radioactive atom, occurred. Because scientists cannot predict when the decay would happen, the only way to know the fate of the cat at any moment is by opening the box. 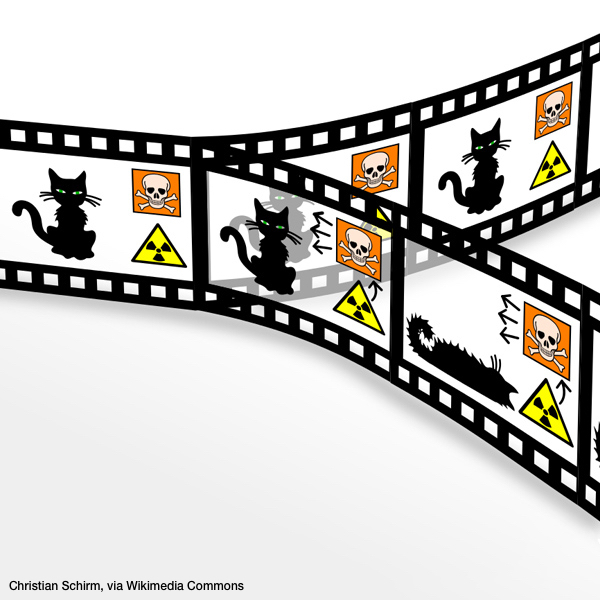 As described by quantum mechanics, the cat is simultaneously alive and dead until it is observed. Schrödinger considered this "quite ridiculous" and, with the support of other scientists like Albert Einstein, used it to challenge the prevailing interpretation of quantum mechanics at the time. Nowadays, quantum effects are widely used in science and technology, including in Fermi's Large Area Telescope (LAT). The LAT detects gamma rays, the highest-energy form of light. Packing more than a million times the energy of visible light, these gamma rays are capable of penetrating solid matter, like tungsten. This means techniques used for other parts of the electromagnetic spectrum, which involve reflecting or refracting light to a focal point, simply aren't possible for gamma rays. 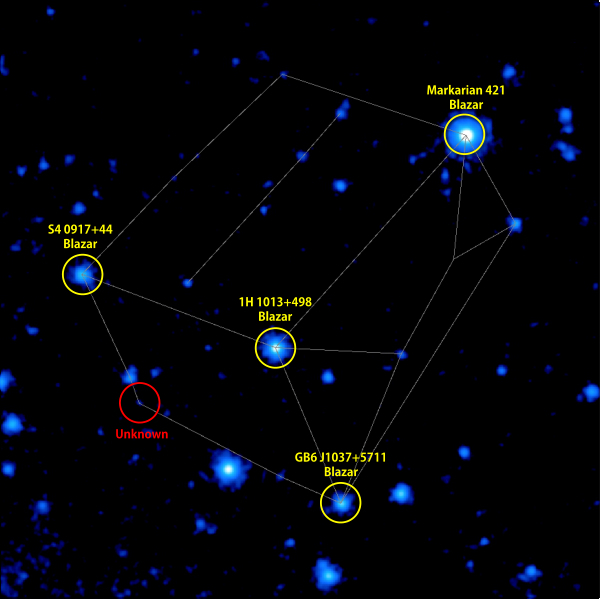 So Fermi's LAT takes advantage of a phenomenon called "pair conversion." When an energetic gamma ray interacts with one of the tungsten plates inside the LAT, it converts into an electron and its antimatter counterpart, a positron. The LAT then tracks the electron to determine what part of the sky the original gamma ray came from. Thanks to quantum mechanics and the universe's most extreme form of light, Fermi is providing scientists with fundamental insights into some of the most powerful events in the cosmos.